Remember the floods in 2013? Many people in our service area, including those in Longmont, got some serious trouble sent their way from up the canyon. Most of them never saw it coming, simply because it wasn’t supposed to happen where they were. Many of the houses were nowhere near the river, and they never imagined that the waters would spread out as much as they did. It was just one of the many times that we’ve seen where people who thought they were safe from a flooded basement simply weren’t. There are three services that the plumbers at Garvin’s provide that could have helped them keep their basements dry. If you don’t have a sump pump, there’s no way it could work, is there? We can handle your sump pump installation so that your basement has the added protection from floodwaters. If there’s any chance…ANY chance…that your basement could become flooded, a sump pump is for you. Sump pumps tend to take care of themselves, but that doesn’t mean that they never need a little maintenance. If you think that it might not work in an emergency, give us a call and our plumbers will come out and make sure that everything will perform properly in the event of flood. If you’ve moved into a house with an existing sump pump, it might be a good idea to give us a call to make sure it’s working (and how you can test it). If you have a broken sump pump and your basement floods, you’re never going to forgive yourself. A simple fix could have made the difference between a dry basement and throwing out everything you had down there. Get that sump pump fixed so that you’re ready when the water comes. 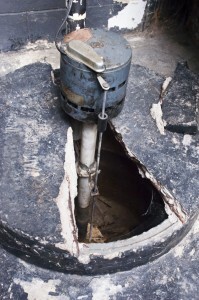 Sump pumps are amazing appliances, but only where they work! If you have any question about sump pump installation or repair, contact Garvin’s!